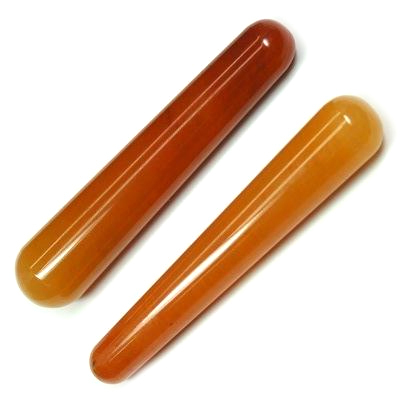 Orange Aventurine Massage Wands (Round Ends) (India) - These Orange Aventurine Massage Wands come to us from India and are cut and polished into a round shape and polished on both ends. These wands are great for meditation and for energy sessions and body work. Orange Aventurine is considered a stone of good luck, fortune, and helps manifest exciting new possibilities. 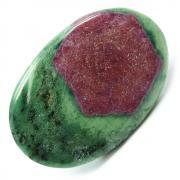 It has been called the "Whisper Stone" since the energy of this stone helps to quiet the critical and judgmental inner voice. Orange Aventurine also calms and stills the mind of inner chatter when preparing for and during meditation. 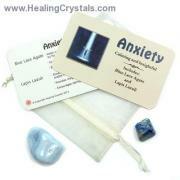 Orange Aventurine is great when dealing with issues of self-worth. 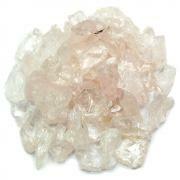 Use Orange Aventurine to help you to clear blockages between the Sacral and Third-Eye Chakras. 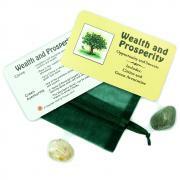 Orange Aventurine can be used to enhance personal will by channeling energy through the Sacral Chakra for assimilation. This also helps one to be more discerning in their application of this will, so that one is aligned with the highest vibration.